Our CPO vehicles must pass a stringent certification process that guarantees only the finest late model vehicles get certified. Every vehicle that passes is then subjected to a comprehensive 125-point inspection and a thorough reconditioning process using Authentic Mopar® Parts. What is the Warranty for a Certified Pre-Owned Chrysler/Jeep/Dodge/Ram? For even more peace of mind, we’ve included the factory-backed 7-Year/100,000-Mile Powertrain Limited Warranty, the 3-Month/3,000-Mile Maximum Care Coverage, plus, we offer something you won’t find from any other manufacturer: Lifetime Certified Warranty Upgrades. Imagine that … a warranty that will cover your certified vehicle for as long as you own it! Why buy a Certified Pre-Owned? Is a Chrysler/Jeep/Dodge/Ram Certified Pre-Owned Vehicle worth it? It’s up to you–a certified vehicle has a lot of guarantees that a traditional, pre-owned vehicle does not. It comes with an additional warranty, emergency roadside assistance, optional extended protection plans, a 125+ point inspection, and a full CARFAX vehicle history report. Any certified pre-owned dealer can offer you a number of options. 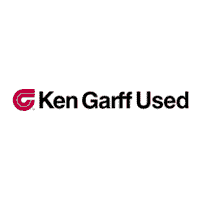 Here at Ken Garff West Valley Chrysler, Jeep, Dodge, Ram our inventory for certified pre-owned vehicles is constantly in-flux, so check back often. Or, if you have a specific car in mind, give us a call and we can find the car that matches your needs. Follow the link below to Contact Us.